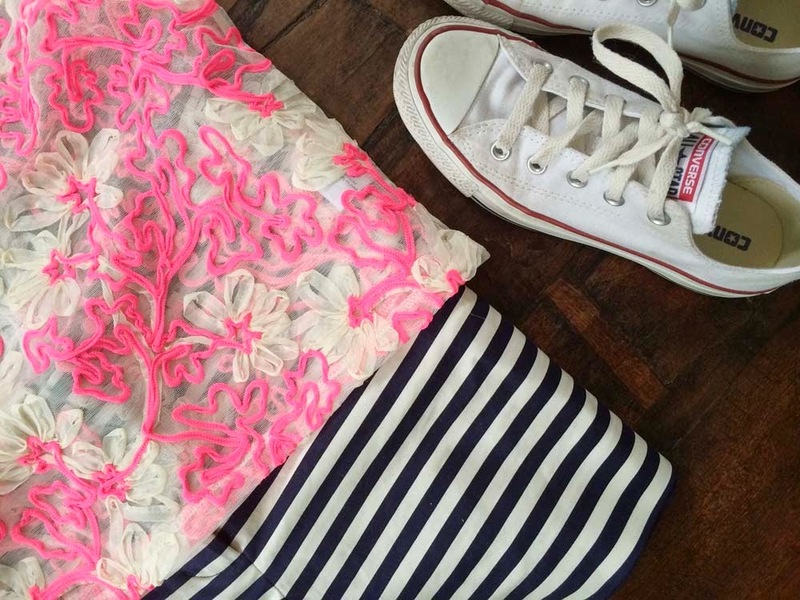 Last month Boden sent me over a couple pairs of their Bistro shorts. I have been a longtime admirer of Boden's clothing but had only gotten the boys things from Mini Boden, so it was such a nice treat to finally try out some of their women's line too. And WOW- I was truly blown away when the items arrived. Right out of the box I was impressed with the quality and make of the shorts, and once I tried them on I was even happier. The shorts are the perfect length- not too short so I feel uncomfortable while running around, but also not so long that I feel frumpy. They come in a variety of colors and patterns, but I chose the striped and floral print because I knew I'd be able to work them into my wardrobe all spring and summer long. Stripes have become a staple in my closet, and I love how easy they are to pair with anything. Mix and match tops, sandals, sneakers...and the floral print works in the same way. Two pairs of shorts for endless combinations of adorable warm weather looks. And best of all, Boden is offering Sometimes Sweet readers 15% off your purchase (+ free shipping!) with code J9C7. This link will take you right there, and include the code. Which outfit below is your favorite? Mine would have to be the one with the pink top! p.s. enter to win $1000 to Boden right here. *This post is brought to you in collaboration with Boden. Oooh. I love all of these! It's never occured to me to mix print and stripes. I love the way it looks and I can't wait to get into that! Yay! I feel like stripes has almost become a neutral for me! I love the first outfit! I have a weakness for stripes so those shorts look lovely! Thank you Laura! :) They're super comfy too! But you aren't wearing any of them...? 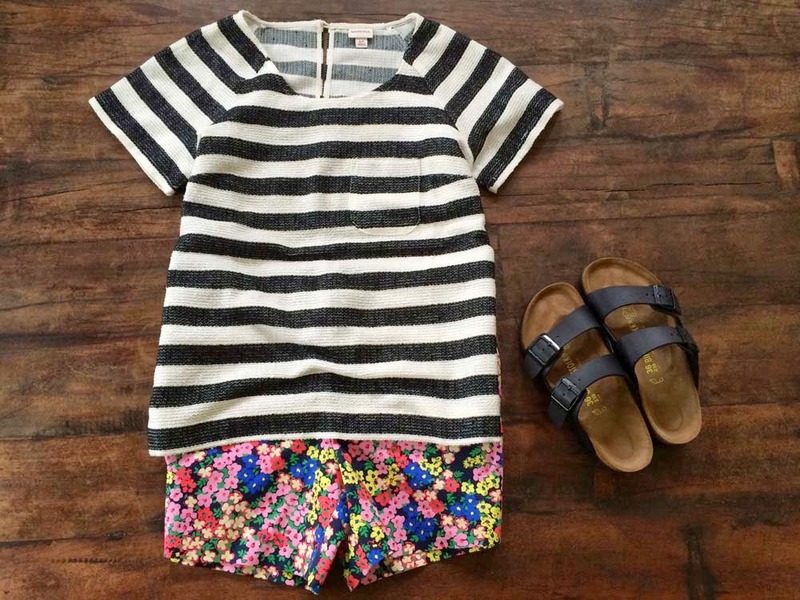 Just might need to get those striped shorts, way too cute!! I love the outfit with the floral shorts! Love these shorts! I can't wait to see the floral ones in person. The look super comfy and cute!